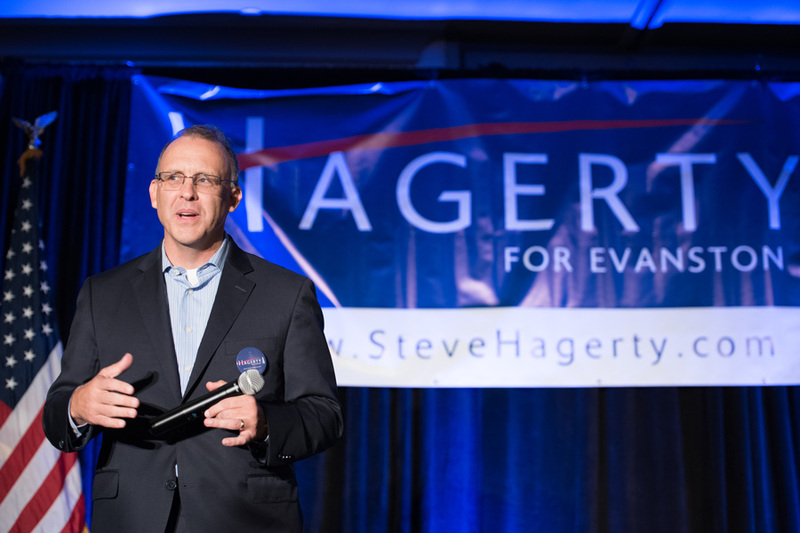 Mayor Steve Hagerty at a campaign kick-off event in October 2016. Hagerty said at a Saturday event that many of the most socially progressive and active people in the Evanston community are young adults and teenagers. In honor of Martin Luther King, Jr.’s legacy, members of the Evanston community celebrated his role in inspiring youth toward change and social progress on Saturday. The MLK Day of Celebration event, held at the Fleetwood-Jourdain Community Center, hosted speakers and presentations that showcased the role of youth in impacting social issues. Keynote speaker and Northwestern freshman Nolan Robinson (Communication, ’21) said it was important to not only have a purpose, but to persevere through hardship and work to the best of your ability to achieve your purpose. Citing the Birmingham marches and the diner sit-ins in North Carolina during the civil rights movement, Robinson drew connections between the audience and youth throughout history who risked arrest and serious harm to march for what they believed in. Former mayor Lorraine Morton, Evanston’s first black mayor and the longest serving mayor in the city’s history, reminisced about the civil rights movement in her hometown of Walnut Cove, North Carolina. She said she was proud of the young people who paved the way toward change in the community by integrating schools that were once segregated. In his opening remarks, Mayor Steve Hagerty said many of the most socially progressive and active people in the Evanston community are young adults and teenagers. He emphasized these traits as extremely important, especially given the amount of “work to be done” on social issues, both in the greater world and in Evanston. Performances by youth from the Evanston-Chicago area made up the rest of the presentation. Ca’ron Walker, an eighth-grader from Dr. Martin Luther King Jr. Literary and Fine Arts School, performed a spoken-word rendition of Maya Angelou’s “Still I Rise.” The Second Baptist Church Choir, the Faith Temple Choir and Evanston Children’s Choir performed throughout the event. Michael Nabors, president of the NAACP’s Evanston chapter and pastor at Second Baptist Church, said the goal of these presentations was to further inspire young people to get involved in activism and social justice. “We’re trying to motivate the young people to let them know that we have high expectations, for them to continue to help us to lead the way,” Nabors said.